Well, per usual, we’ve only got one winner for the contest…. and it’s Ellen Denton, with her story “Hypochondriac.” Congratulations to her and her newly earned $40. Our other contributors include Kelli Simpson, Alex Ledford, Jack Freeman, James Jackson, Mary Kasimor, Janet Reed, Krista N. Davis, and Daniel Paglia. Thanks to you all for letting this piece of trash literary magazine publish your beautiful work, and thanks to everyone else who took the time to submit their pieces and didn’t make the cut this time. Even the people who failed to follow the guidelines, like, at all. The issue should be available at the end of the week, so check here or our Twitter @bopdeadcity for the link. 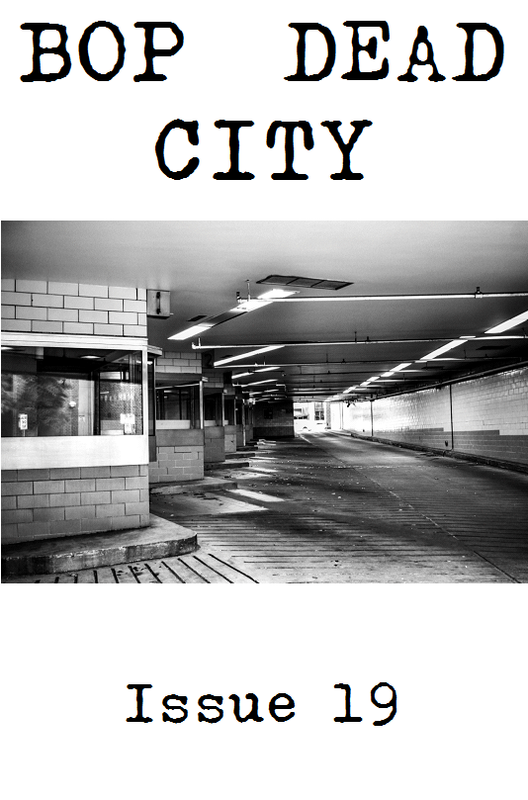 Bop Dead City finally got a Twitter! I decided to finally get with the times (if the time was 2012 or so) and get Bop Dead City a twitter. It’s, surprisingly, @bopdeadcity. So, feel free to follow and if you don’t seem like trash, I’ll follow you back.